^ . Fig. 1 in Motta-Junior (2006) is misleading: it shows the average weight of both vertebrate and invertebrate components. Compare Tyto alba, which feeds almost exclusively on the same sort of rodents and other small vertebrates (but not invertebrates) as A. cunicularia. ^ Nordstom, Noelle. Priority Habitat and Species Management Recommendations, Volume IV: Birds: Burrowing Owl (PDF). Washington Department of Fish & Wildlife. [April 3, 2010]. （原始内容 (PDF)存档于2010年4月7日）. ^ Artificial Burrows. Burrowing Owl Preservation Society. [April 3, 2010]. （原始内容存档于2010年11月30日）. ^ FAU Traditions. Florida Atlantic University: Athletics Department. [2011-04-25]. （原始内容存档于2009-05-30）. Athene cunicularia. IUCN Red List of Threatened Species 2008. International Union for Conservation of Nature. 2008. Clark, H.O. Jr. & Plumpton, D.L. (2005): A simple one-way door design for passive relocation of Western Burrowing Owls. California Fish and Game 91: 286–289. Environment Canada (2006): Species at Risk – Burrowing Owl. Version of 2006-MAY-08. Retrieved 2007-AUG-16. Lewis, D.P. 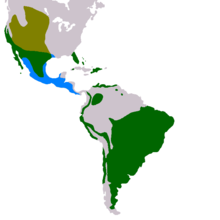 (2005): Burrowing Owl – Athene cunicularia. OwlPages.com Owl Species ID: 220.040.000. Version of 2005-APR-24; retrieved 2006-DEC-26. Lutz, R.S. & Plumpton, D.L. 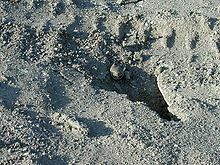 (1999): Philopatry and nest site reuse by burrowing owls: implications for productivity. Journal of Raptor Research 33: 149–153. Moulton, C.E. ; Brady, R.S. & Belthoff, J.R. (2005): A comparison of breeding season food habits of burrowing owls nesting in agricultural and nonagricultural habitat in Idaho. Journal of Raptor Research 39: 429–438. OwlPages.com (2005): 220.040.000 Burrowing Owl – Athene cunicularia. Version of 2005-ARP-24. Retrieved 2008-DEC-29.